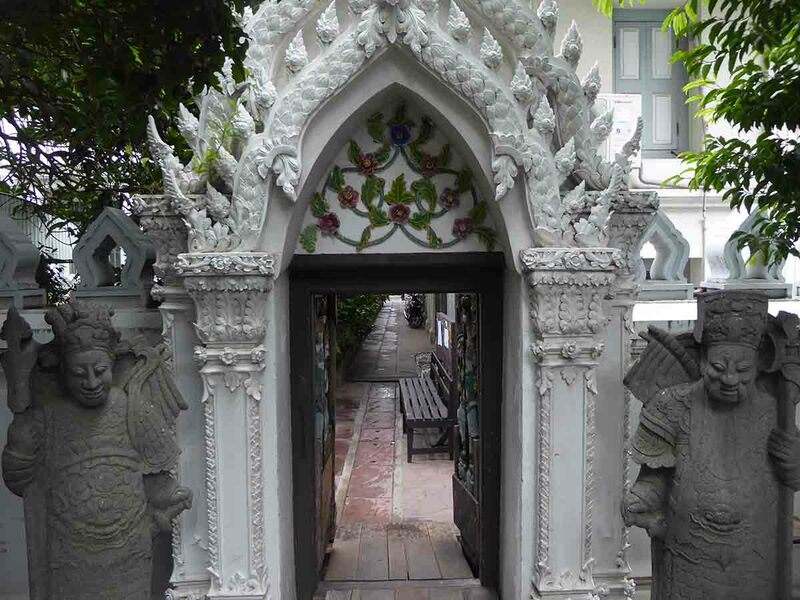 Wat Ratchapradit is a very small temple built during the reign of King Rama IV and located on the edge of Saranrom park near Wat Pho and The Grand Palace. 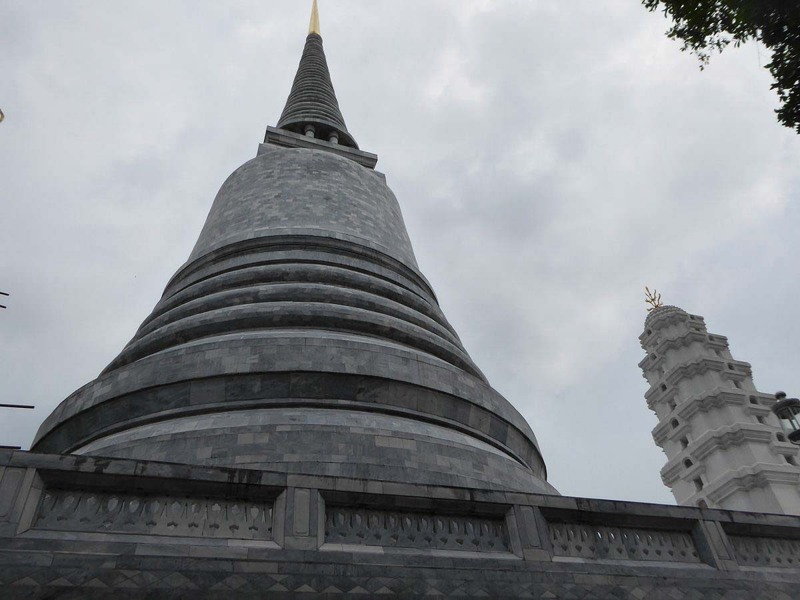 The temples distinctive feature is the grey and white marble tiles of the ordination hall and pagoda which give them a chequered appearance. 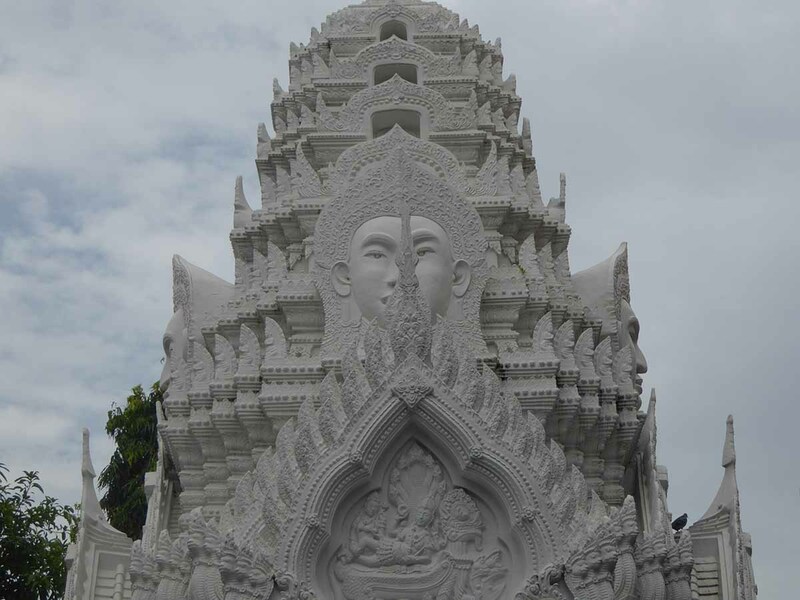 On either side of the main ordination hall are prangs that display a Khmer influence with the faces on each side of the intricately carved prang reminiscent of Angkor Thom temple in Cambodia. 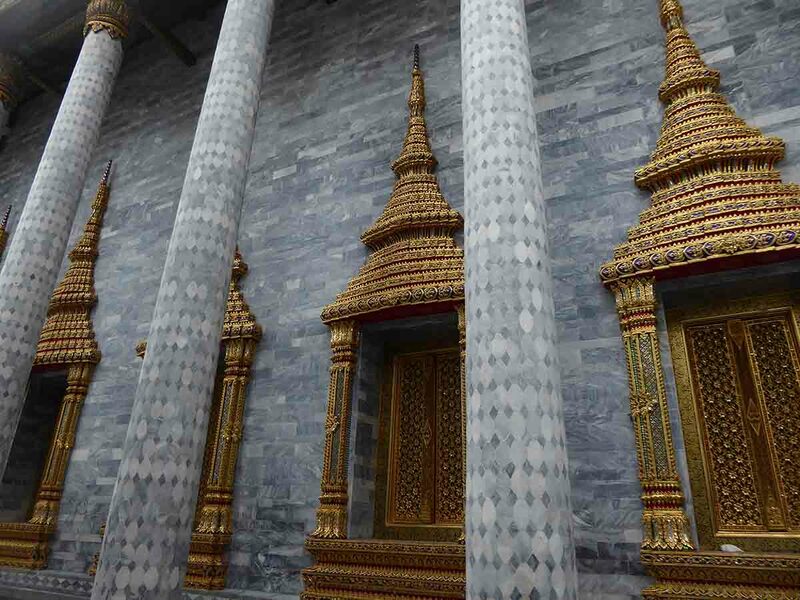 The inside of the ordination hall contains the Buddha image backed by a blue mosaic of mirrors under a red and gold ceiling. 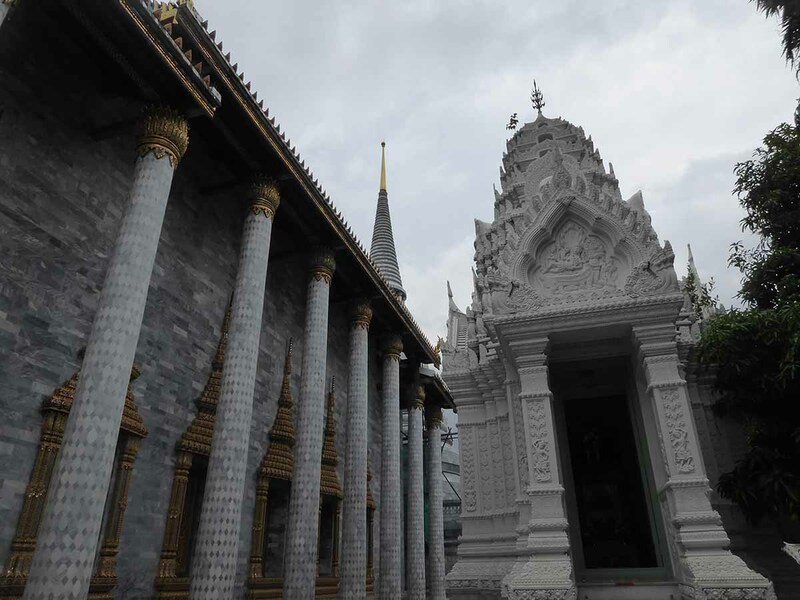 The exterior walls of the hall are decorated with marbles while the interior walls have murals describing all the yearly royal ceremonies such as the giant swing ceremony, Songkran, and Visakha Bucha.